We were staying with Machete & Bec in Queenstown. The four of us, plus four more of The Pirate City Rollers finest roller derby players had just completed the Routeburn Track the day before. And now I was setting off by myself, to ride Around the Mountains. I was catching The Earnslaw across Lake Wakatipu so I abandoned the eggs to Coo and scampered out the door. Bec told me it was best to ride in to town on the trails rather than the road. So I did, until I lost them around the airport and rode the rest of the way on the proper road. I had a couple of things to do in town – first, I bought some food. And second, pick up my camera (that I had somehow left behind) from the post office. I didn’t have much time before the ferry left, so I was anxiously waiting in the queue when an older couple came in. They had the air of people who were unfamiliar with the place and they sounded European, so I tried to stay in front of them, assuming they might be awkward customers. I succeeded, and as I scampered out, tearing the bubble-wrap off my camera, I could hear a man yelling in what might have been a Belgian accent “IS THIS BONK?”. I got to the ferry just in time to line up behind a million tourists waiting to board. 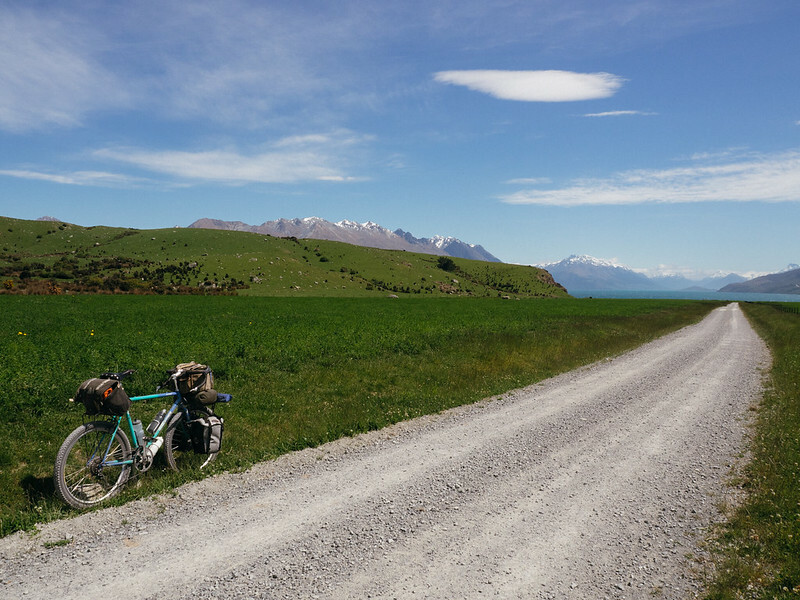 I got off the ferry Walter Peak, left the tourists in the gift shop, said hello to a couple of sheep out the back, and got on the road. 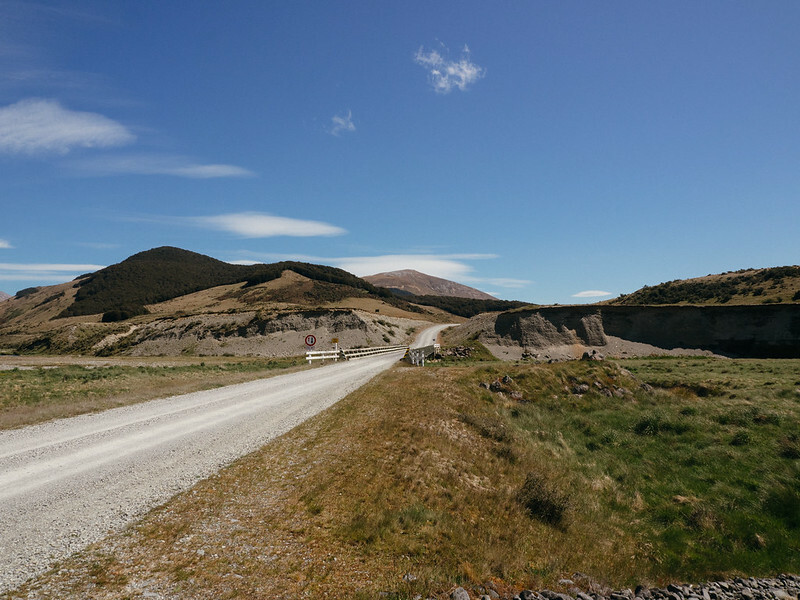 The scenery was beautiful, the sky was bluer than the National Party logo, and the mountains were more spectacular than Mike Hosking’s ego. 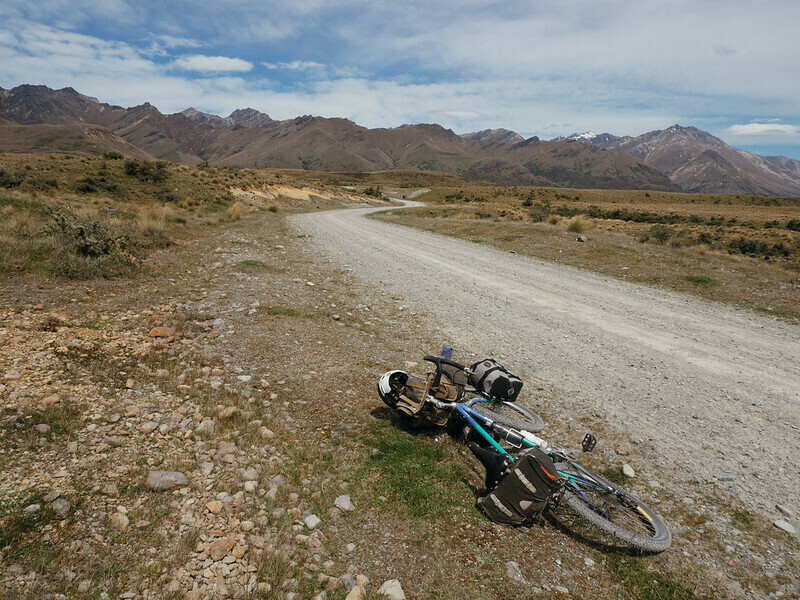 My plan was to ride 60km to the Mavora Lakes, camp for the night, ride 120km the next day to Kingston and camp again, then ride the 40km back to Queenstown the following day. Where I would stay in relative luxury (something with a roof and walls perhaps?) before flying back to Auckland. 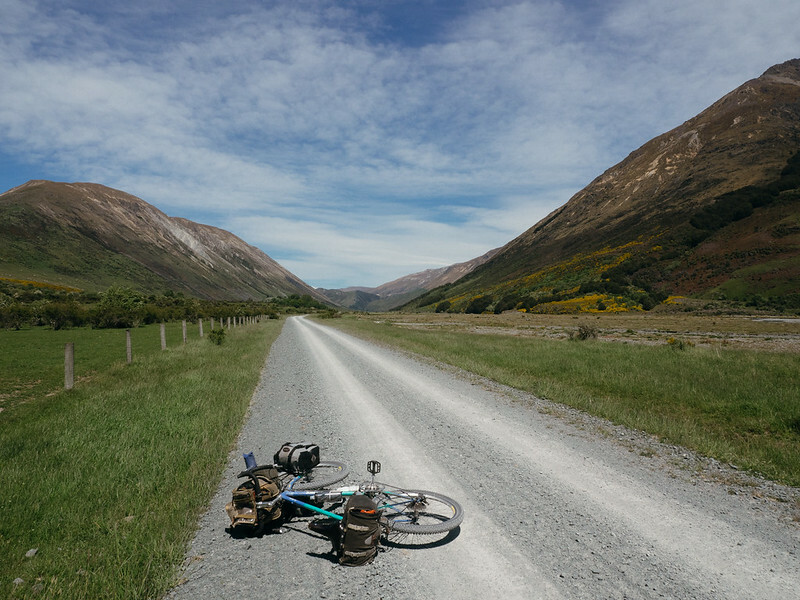 I was trying not to make the same mistake I made last time I visited this part of NZ, which was to have an overly ambitious but inflexible plan. But it was starting to look like I might have done exactly the same thing this time. The first day should be fine, but tomorrow looked hard. And riding along (up?) the ominously named ‘Devils Staircase’ amongst tour buses and tourists sounded scary. 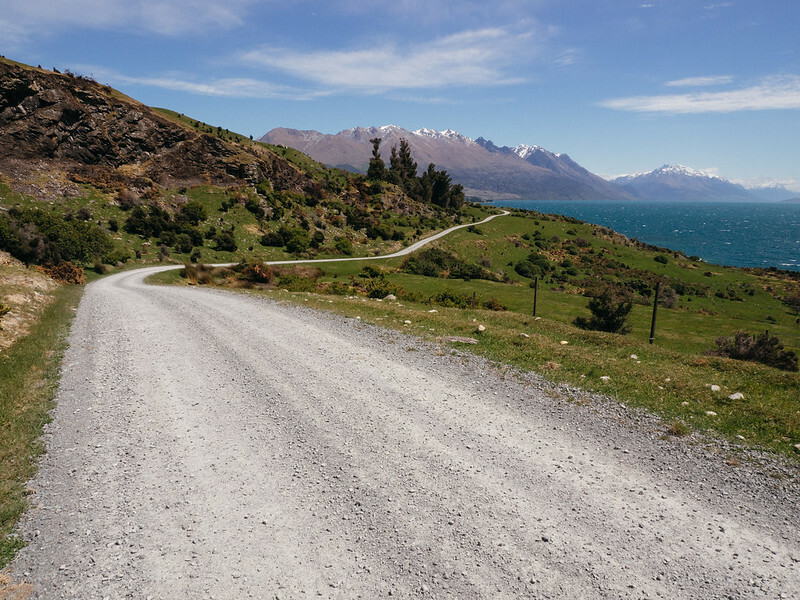 It was a great start to the ride though – I had the road almost to myself, as it led me down the side of Lake Wakatipu. There was quite a headwind which slowed me down, but I was in no big hurry. According to the Kennetts, there was only one significant hill I needed to get over, but it wasn’t until the road turned away from the lake. I saw a few other cyclists going in the opposite direction but they didn’t appear to be traveling far. After a while the road indeed turned left and started to climb and I wondered if that was the ‘significant hill’. It wasn’t too steep, although I did have to slow down when I was surrounded by hundreds of sheep who were all on their way somewhere. I didn’t see any people (or dogs) around so I didn’t know what prompted this expedition. One of them was limping a bit so I tried avoid her. But sheep have a way of always going where you want to go, and you would rather they didn’t go. Over the hill and past the sheep I rode through a beautiful valley. There was a river on my right and cows on my left. The wind had gone to bother some other cyclists or ruffle a cat’s fur, or maybe give a hawk that extra bit of lift it’s looking for, so I made better progress. Then the road started to go up quite steeply and I eventually realised that this was the ‘significant climb’. I knew it was a ‘significant climb’ when I had to stop for a little rest. At the crest of the hill I could see the road stretching for miles in to the distance between mountain ranges. It looked amazing and the wind had finished it’s business elsewhere and returned, this time to give me a push and I flew down the road. 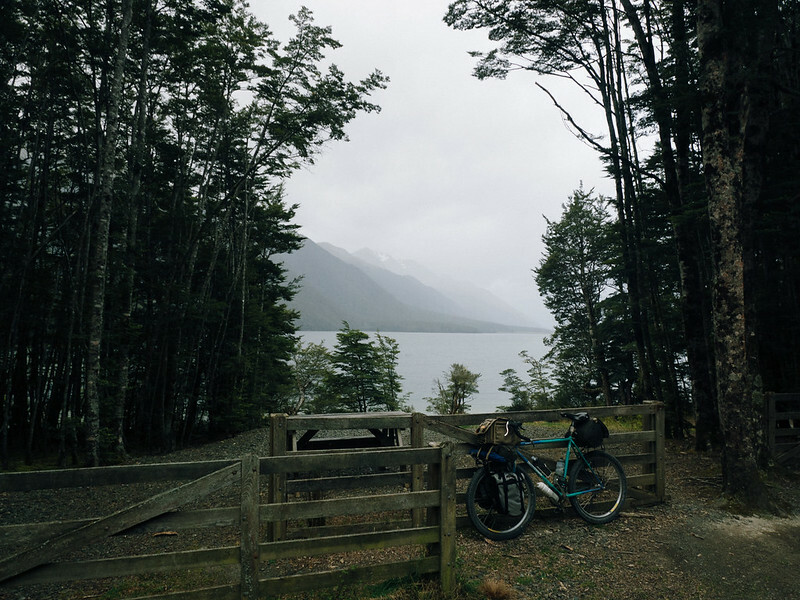 It was brilliant riding all the way to the Mavora Lakes turnoff where I was suddenly cycling through a forest next to a lake. As I put up my tent, it became apparent that this area’s reputation for being popular with sandflies is well deserved. So I hid in my tent and ate noodles. Pretty soon I was lying down. Not long after that I was reading, and drifting off to sleep.